Green and glorious! 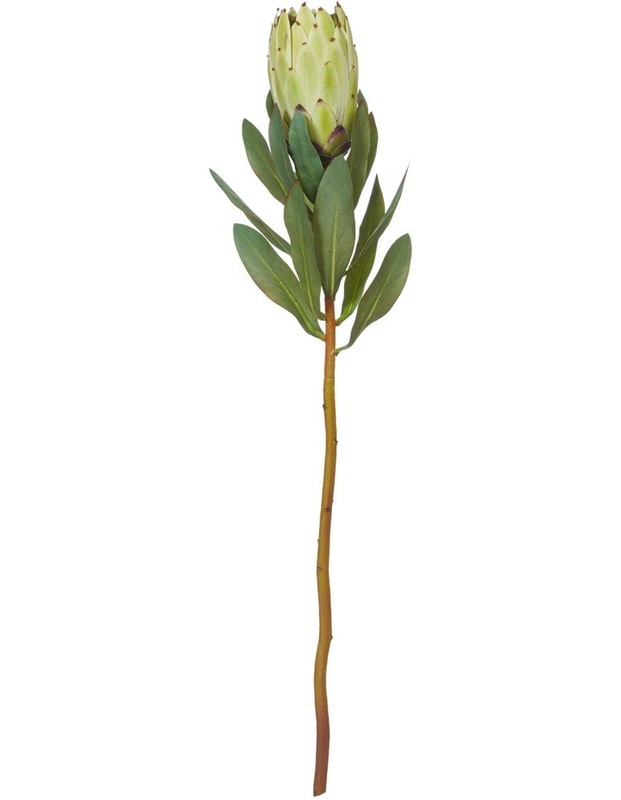 This protea replica features lifelike detail of the original fresh stem, flower, and leaf. Put it in your favourite vase for an elegant touch to your interior, use several to form a beautiful bouquet, or get creative and create a delightful, mixed floral arrangement. Perfect for display on your shelves, side table, coffee table, a cosy corner in your home and more. Size: 11x11x65cm, Composition: Plastic/Fabric/Wire.